A RUP LIFE: RALPH BREAKS THE INTERNET: WRECK-IT RALPH 2 Trailer!!! RALPH BREAKS THE INTERNET: WRECK-IT RALPH 2 Trailer!!! 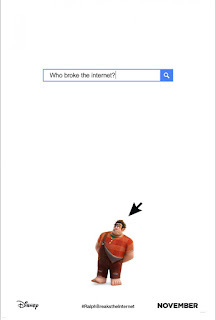 My kids are super excited about the sequel to Wreck-It Ralph! We all loved the first one and the trailer looks hysterical! !